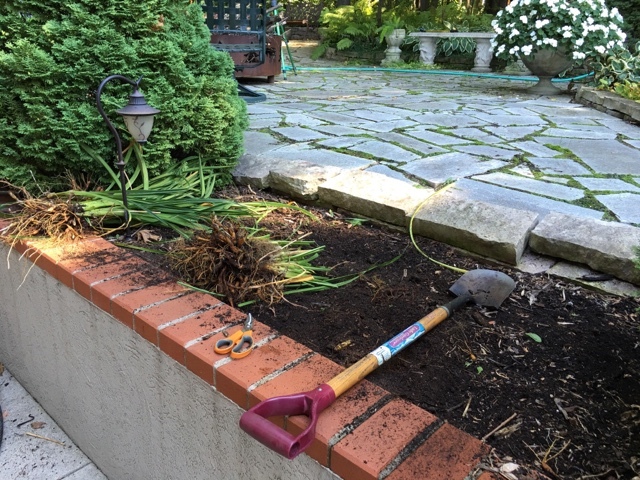 Over the past weekend I dug up my Daylilies along the half wall by the patio. This is before I started. 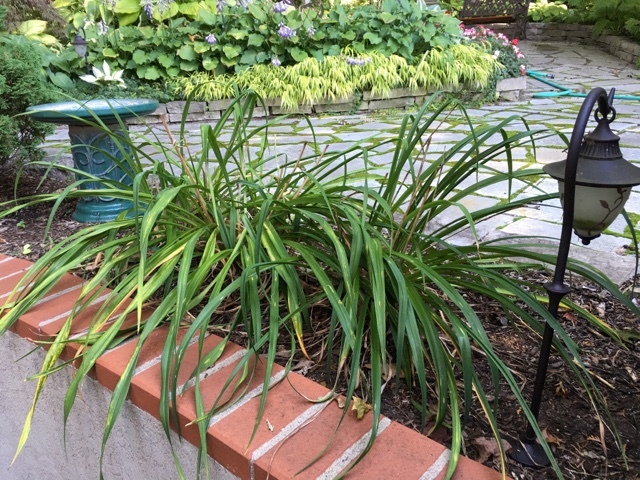 I have three areas with two types of daylilies planted in between some shrubs. I separated the two types of lilies so I could keep track of which was which. My soil has become very rich after many years of putting down shredded hardwood and cedar bark. We have a fair amount of sand in our soil so this has helped build a rich organic soil. After digging I shook off most of the soil and I cut all the tops off which also helps with handling them. 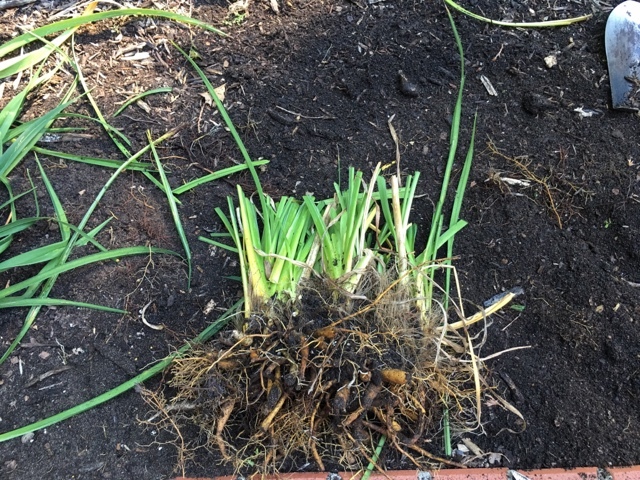 The main reason to cut the tops off tough is to allow the plant to put it's energy into the root system while getting re-established and not so much into the plant. 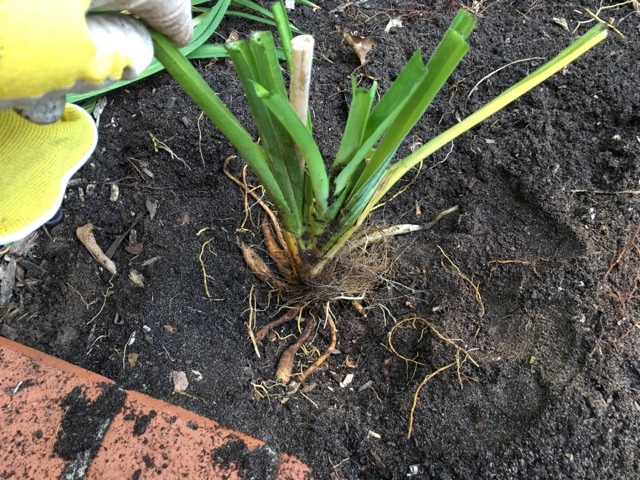 My plants were easy to spit- I just used my hands and pulled sections apart. I made a hole large enough to set the roots into and spread them out a bit. These were'nt huge so it was easy to work with them. You only have to bury them enough to have the soil cover the roots and just barely cover the crown area. 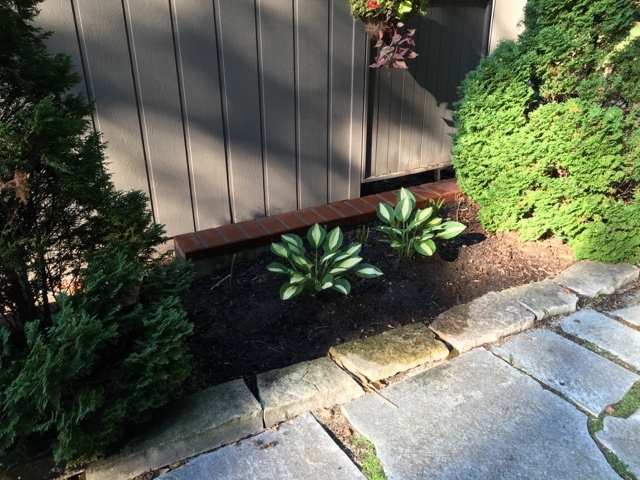 I deliberately planted them close to the wall because all the flowers were always stretching towards the wall the capture more sunlight so this way they'll get more sun and I wanted to transplant these two hostas more towards the center so they'd have more room to grow. My soil is very easy to dig and I just dug around the plant and gently lifted the clump and moved them to their new spot. I have more hostas I want to move into the other two areas. 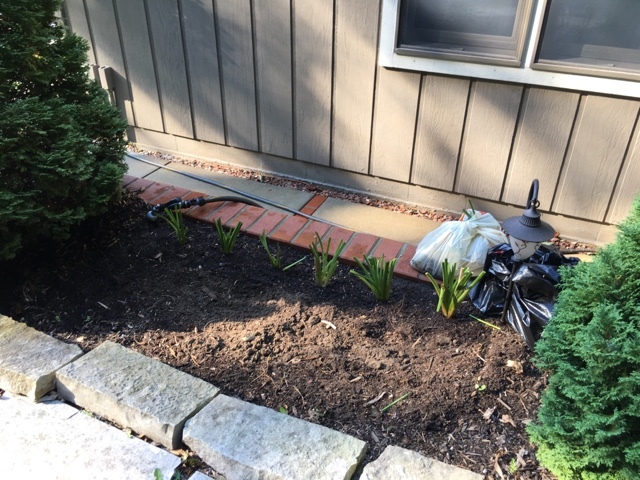 I put the extra lilies in bags separating the two varieties and gave them to my neighbor. I only kept this one variety which is the Sunday Gloves as seen from an older picture here. I have another variety of solid light green hostas that are fairly small I'm planning to move over in front of these two that I just moved. It heated back up so I wanted to wait until we cooled back down before I move them. I't's been raining on and off all week with more coming on Saturday. The gardens are winding down. 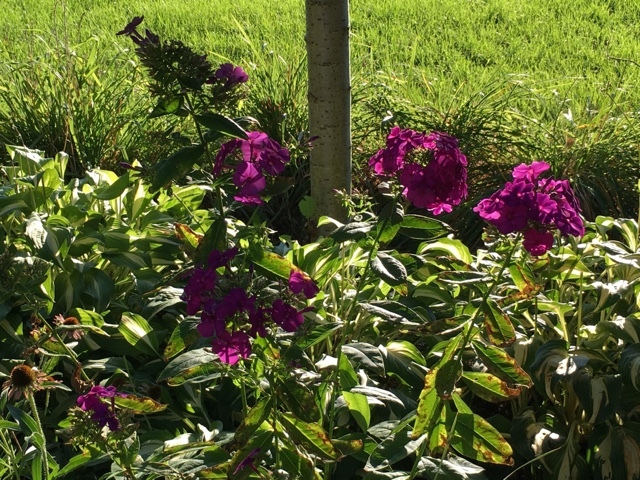 These phlox have been blooming a long time. I enjoy seeing the flowers on the plant and rarely cut my own to bring indoors. 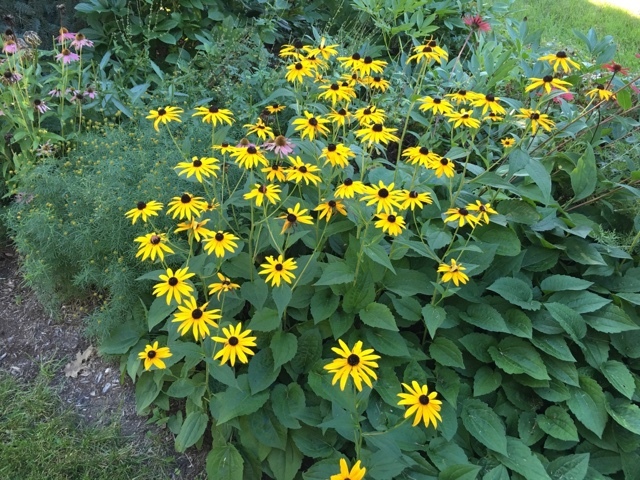 The blackeyed Susan's are always so cheerful and reliable. 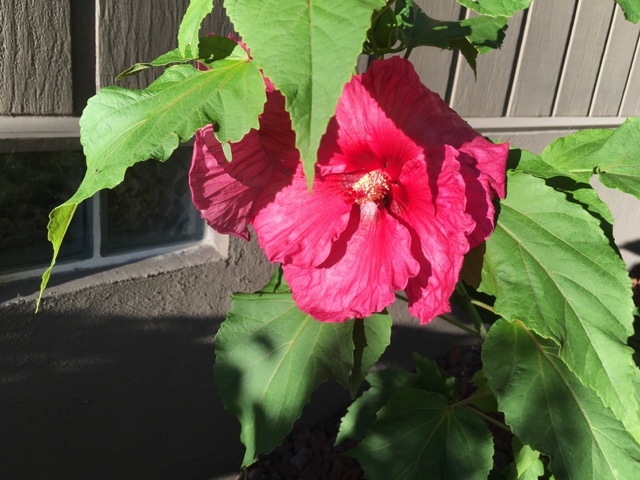 A gangly looking hibiscus has finally bloomed. We plan to remove all the red lava we put down in the 90's but it's a bear of a job so we are still procrastinating on it. 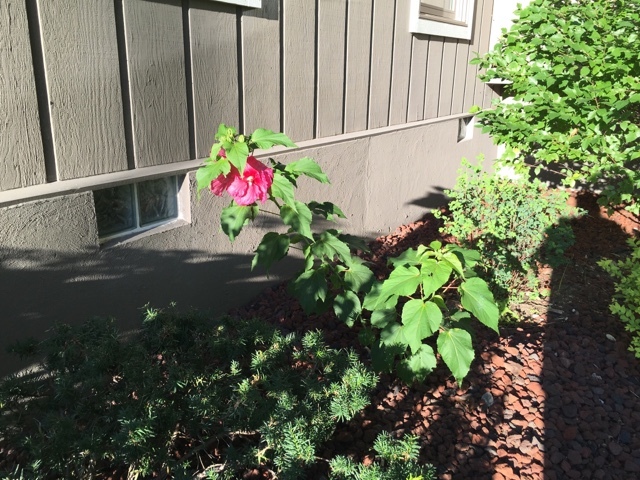 I will amend the soil once we've done it and I'm hoping the hibiscus will be happier then. I always love seeing these blooming- they look so tropical! I hope your end of summer days are going along nicely! For us it's a very pleasant time of year. Temps are mostly in the 70's and at nighttime it cools into the 50's- great sleeping weather! So pretty. 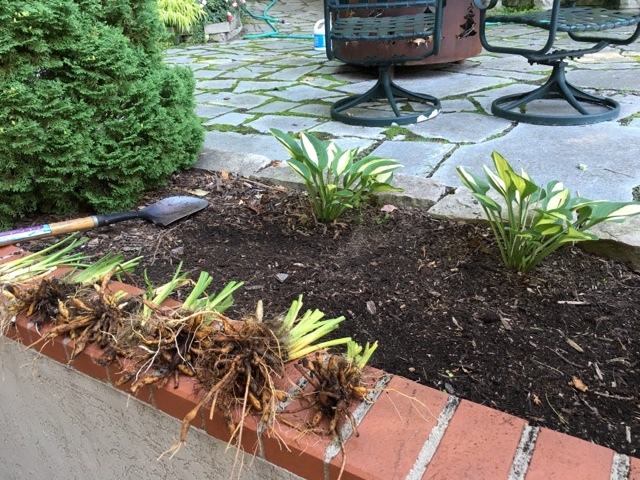 I divided some daylilies last week. The black eyed susans are wonderful. I wish I could grow those. You've been a busy lady! 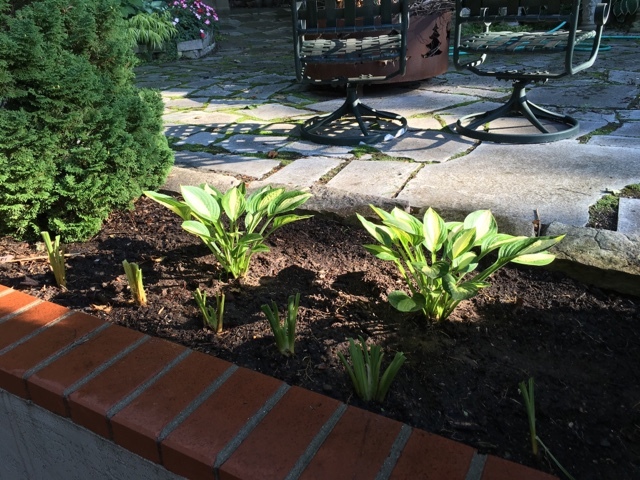 I divided my lilies and hosts last year and planted some in a holding bed for the new house. The lilies have grown so much this year (I guess with all of the rain we've had ?) they could be divided again! Doubt I'll have time for it this year. p.s. I wanted to let you know, if you are still interested in that orange pumpkin, I'd be glad to break up the set for just one. One is larger than the other. Let me know and I can do that tomorrow and reprice. 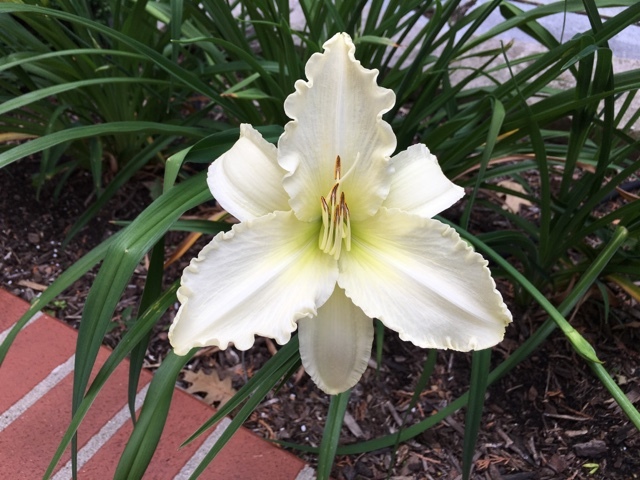 Oh Liz, I just love your garden blog. 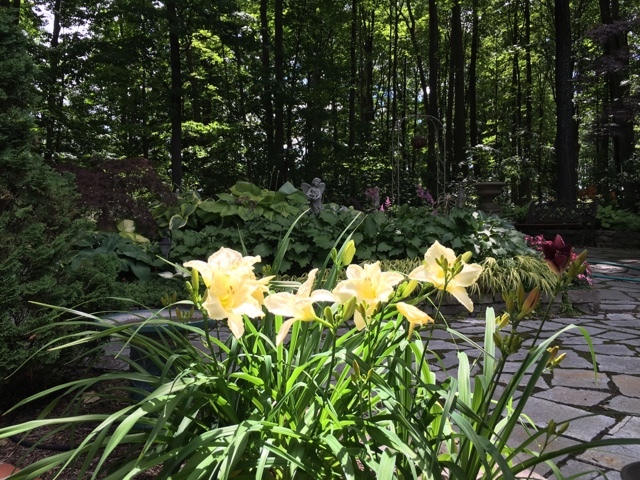 Thanks for sharing this post, I need to do the same with my daylilies so I really appreciate your pics and inspiration. 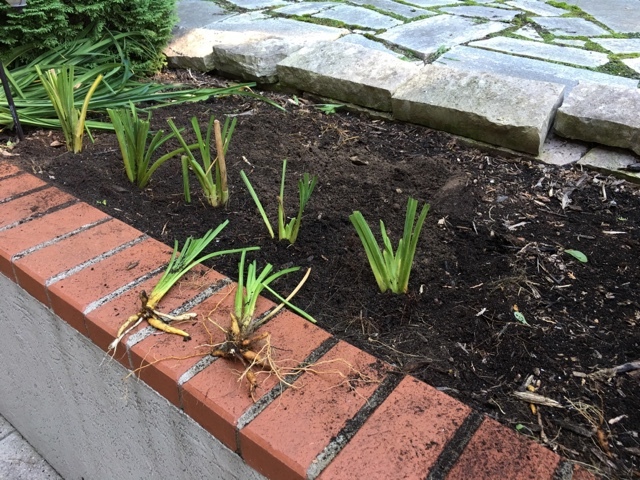 I've been working in the front bed near the road and have started cutting the irises. I need to divide them and hope it's not too late.